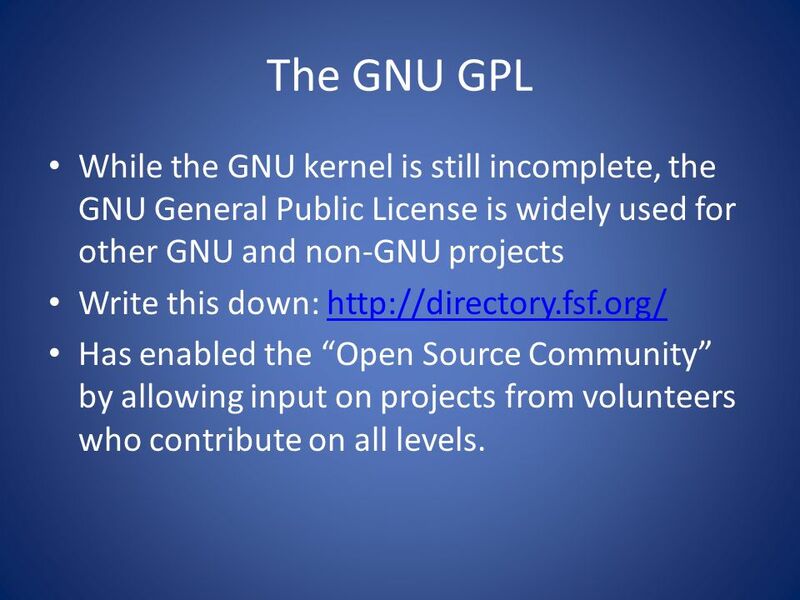 6 The GNU GPL While the GNU kernel is still incomplete, the GNU General Public License is widely used for other GNU and non-GNU projects Write this down: Has enabled the “Open Source Community” by allowing input on projects from volunteers who contribute on all levels. 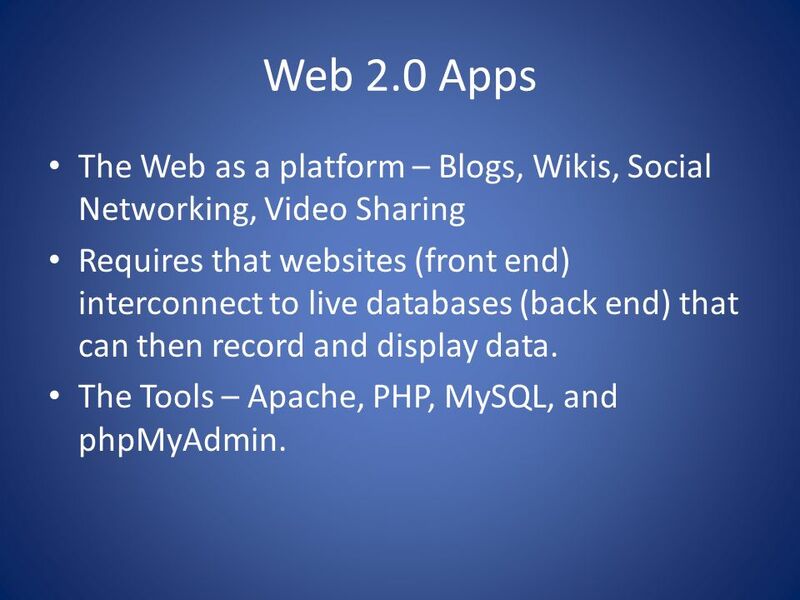 9 Web 2.0 Apps The Web as a platform – Blogs, Wikis, Social Networking, Video Sharing Requires that websites (front end) interconnect to live databases (back end) that can then record and display data. 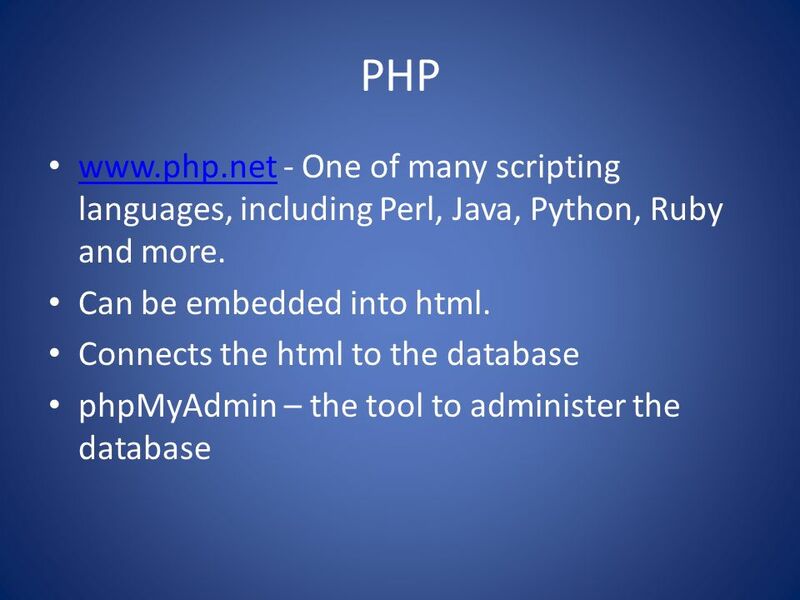 The Tools – Apache, PHP, MySQL, and phpMyAdmin. 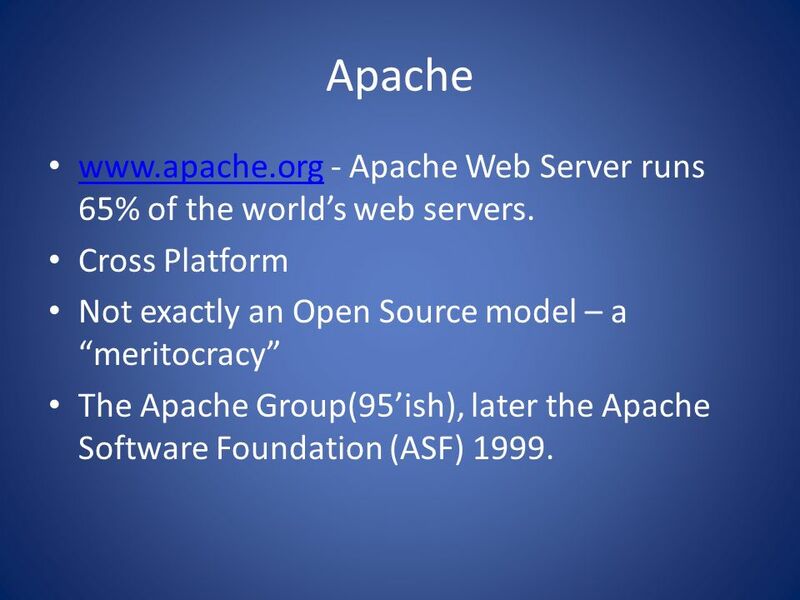 11 Apache - Apache Web Server runs 65% of the world’s web servers. 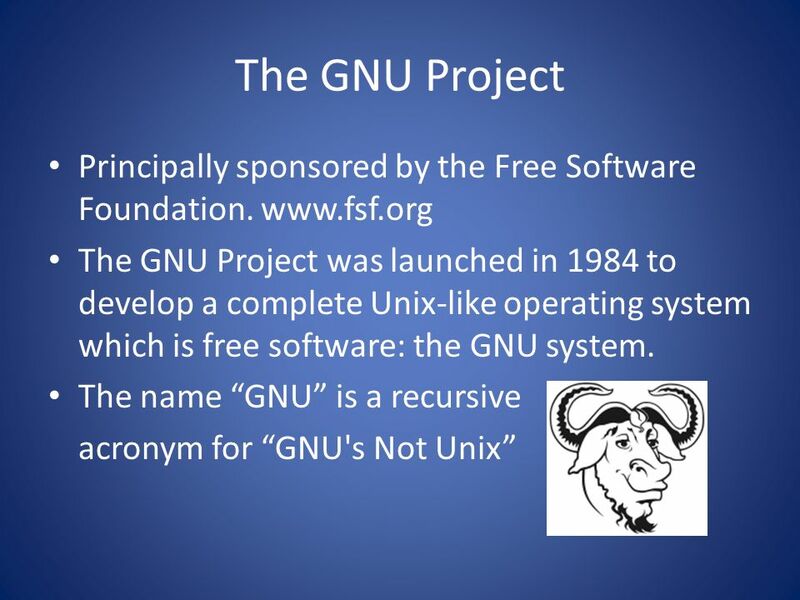 Cross Platform Not exactly an Open Source model – a “meritocracy” The Apache Group(95’ish), later the Apache Software Foundation (ASF) 1999. 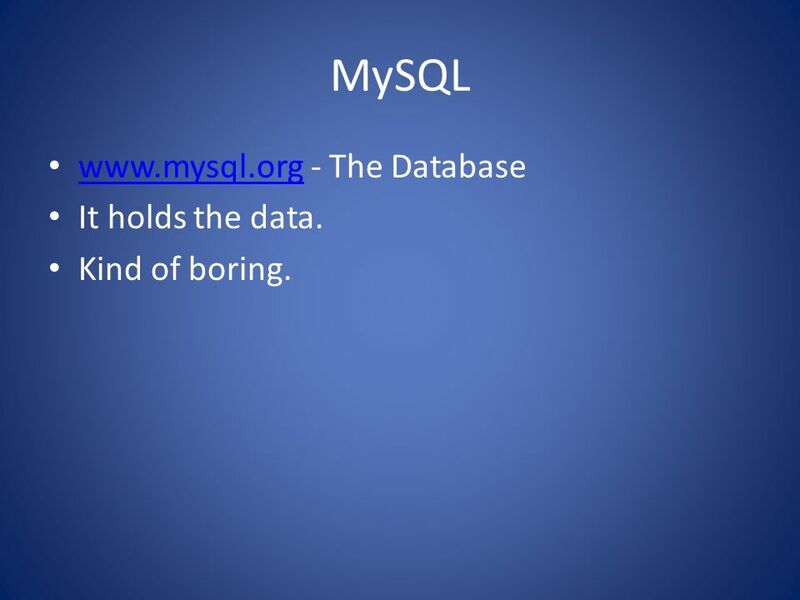 12 MySQL - The Database It holds the data. 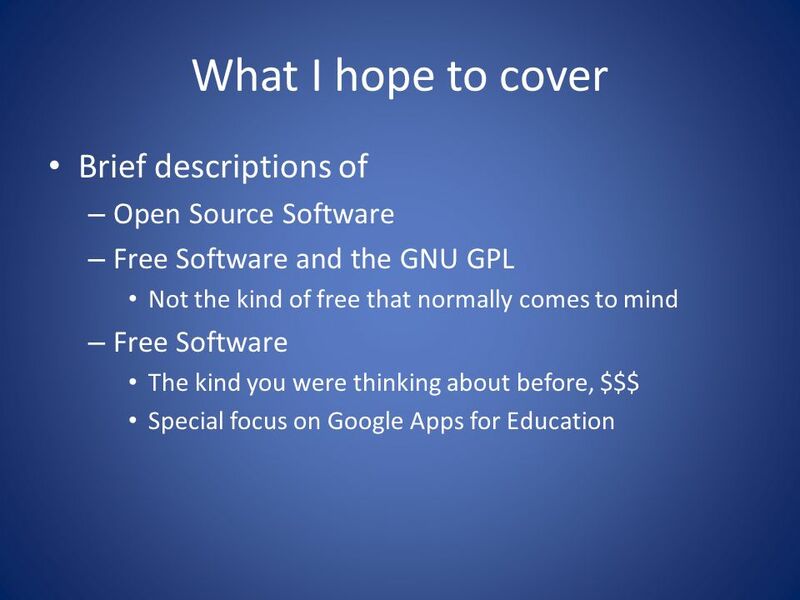 Kind of boring. 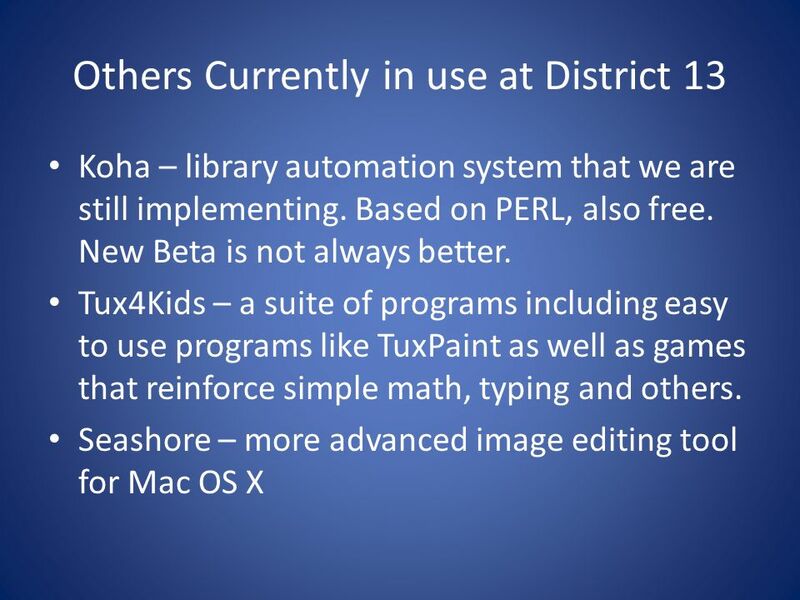 15 NVU NVU – Pronounced N-View is a full fledged WYSIWYG html editor with FTP capabilities. 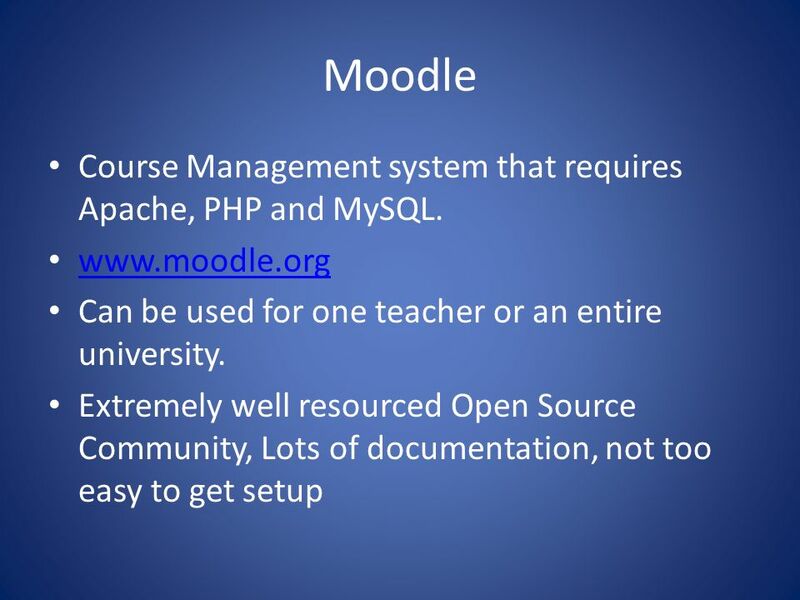 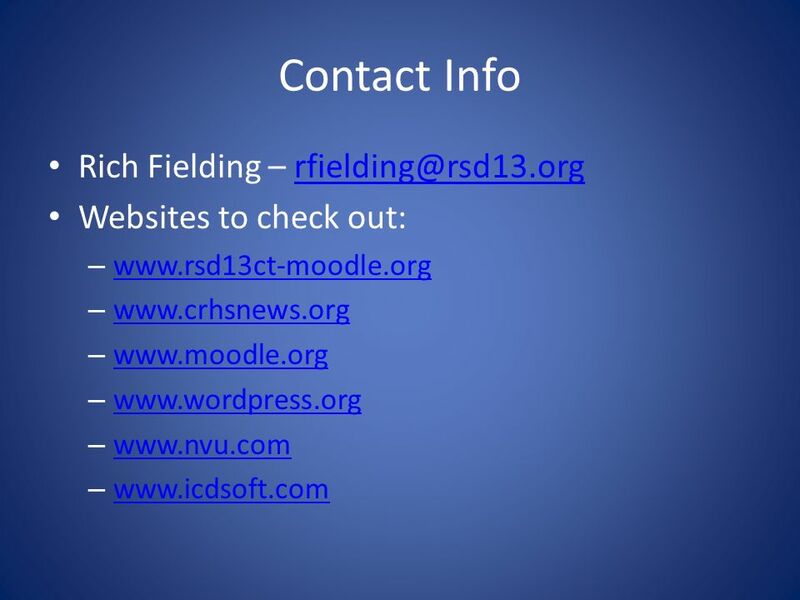 16 Moodle Course Management system that requires Apache, PHP and MySQL. 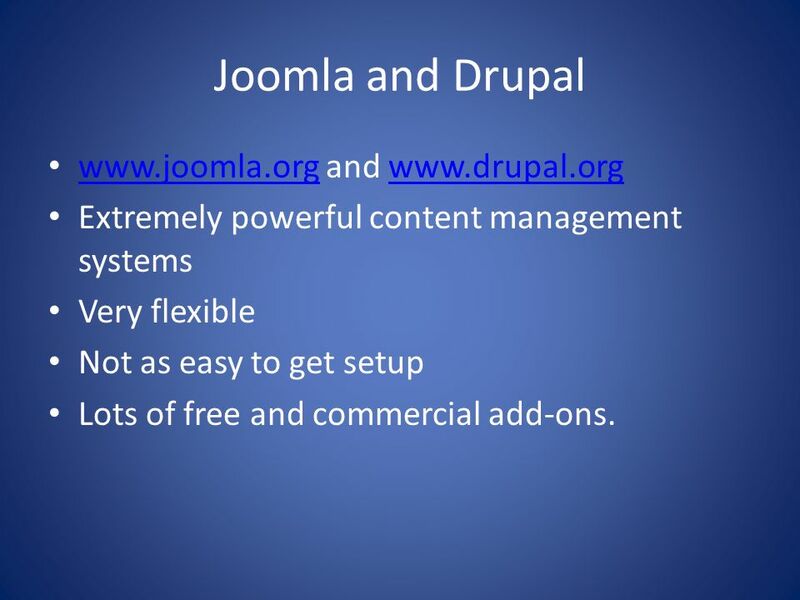 Extremely powerful content management systems Very flexible Not as easy to get setup Lots of free and commercial add-ons. 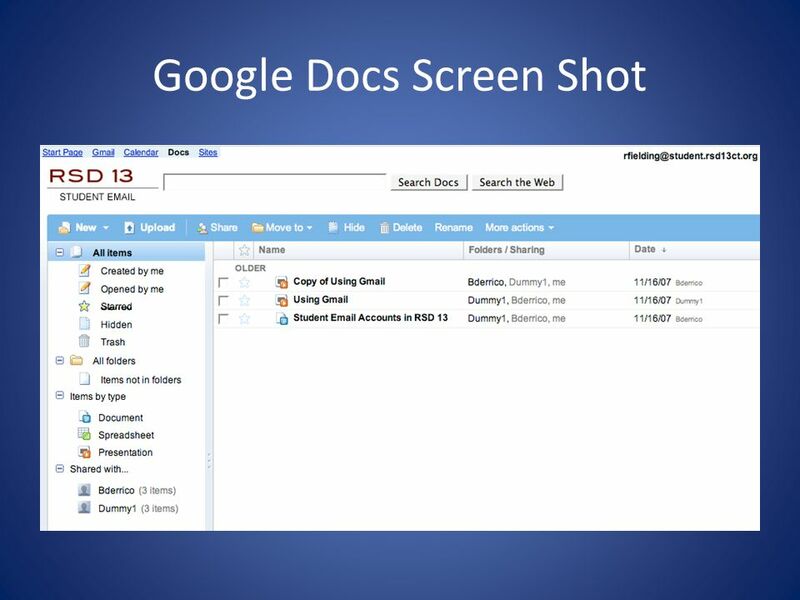 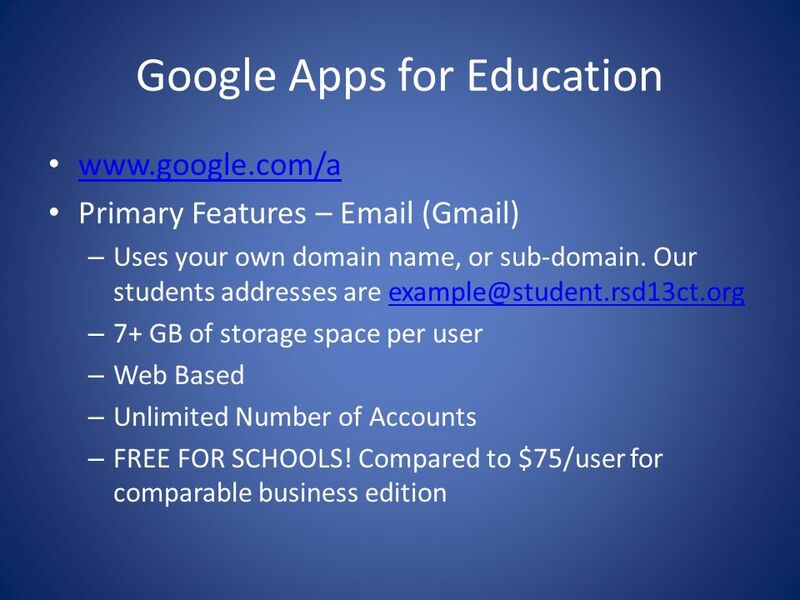 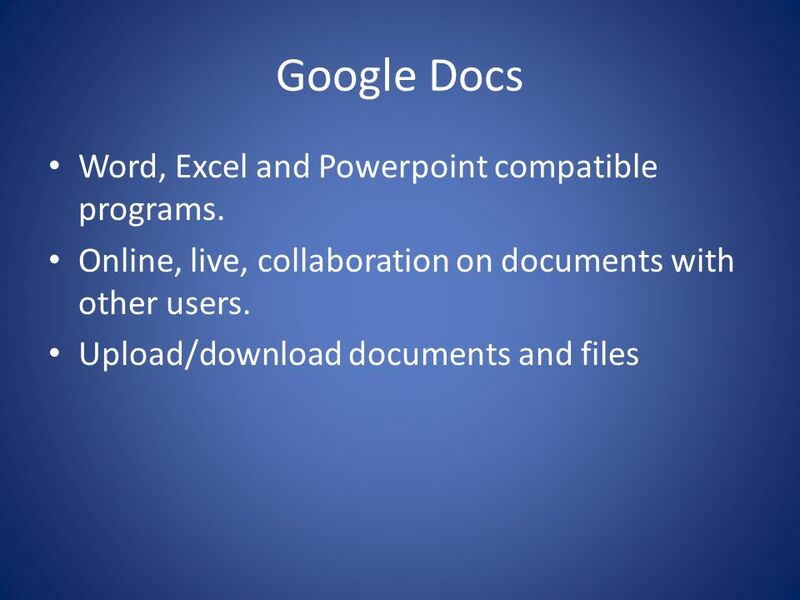 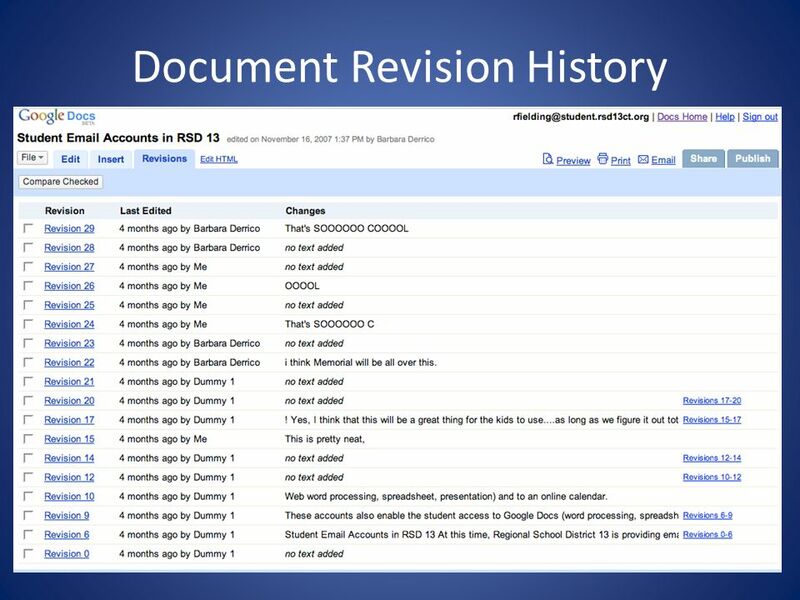 21 Google Docs Word, Excel and Powerpoint compatible programs. 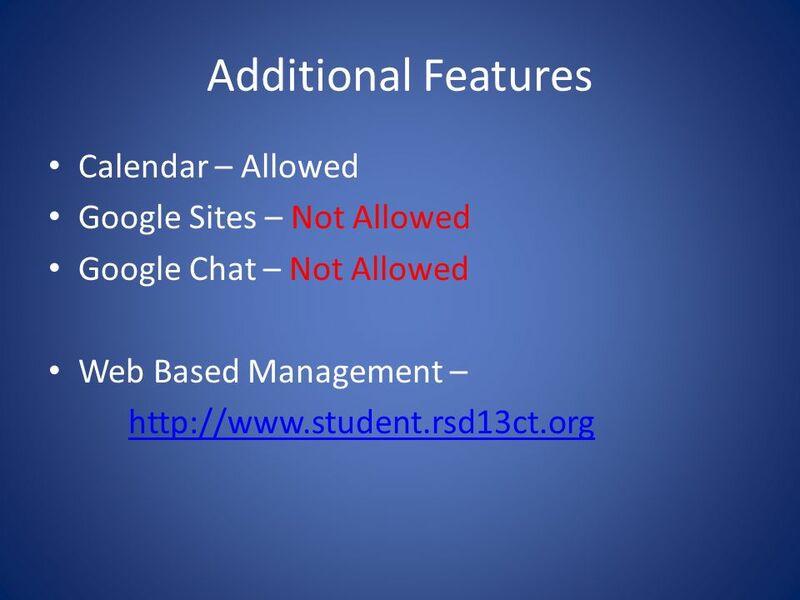 26 Downside Web based administration has major limitations with regard to mass changes. 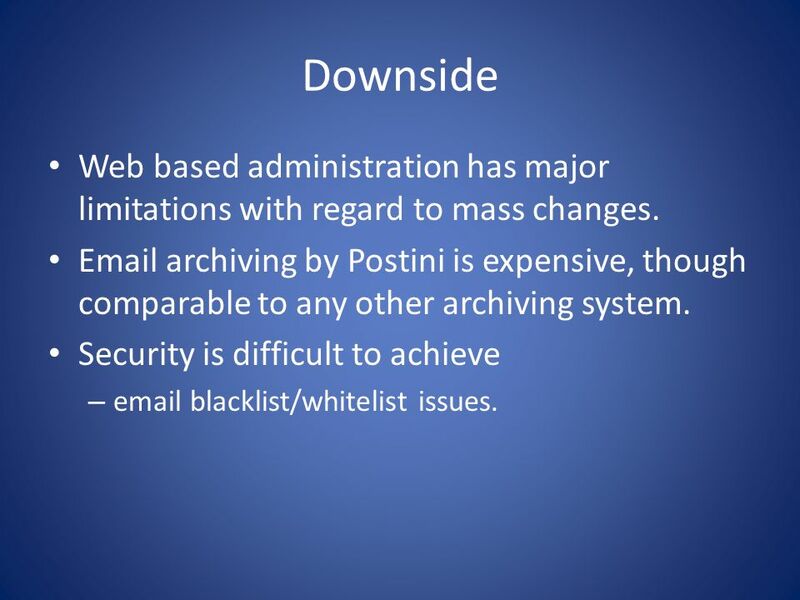 archiving by Postini is expensive, though comparable to any other archiving system. 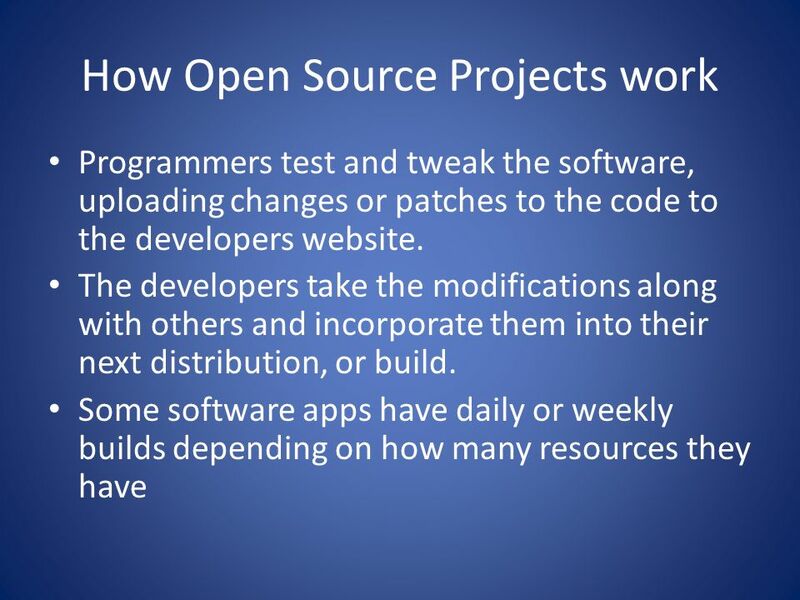 Security is difficult to achieve blacklist/whitelist issues. 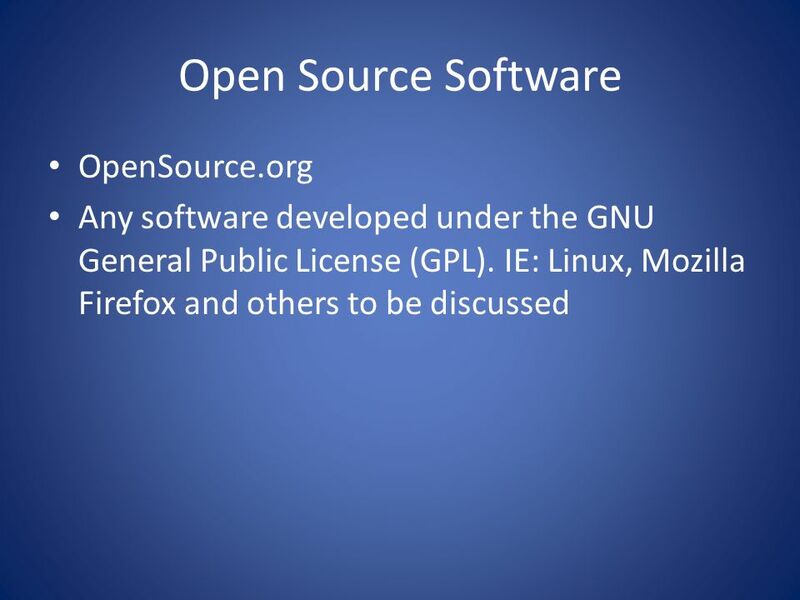 Download ppt "Open Source and Free Software in Education"
Technology Analysis LINUX Alper Alansal Brian Blumberg Ramank Bharti Taihoon Lee. 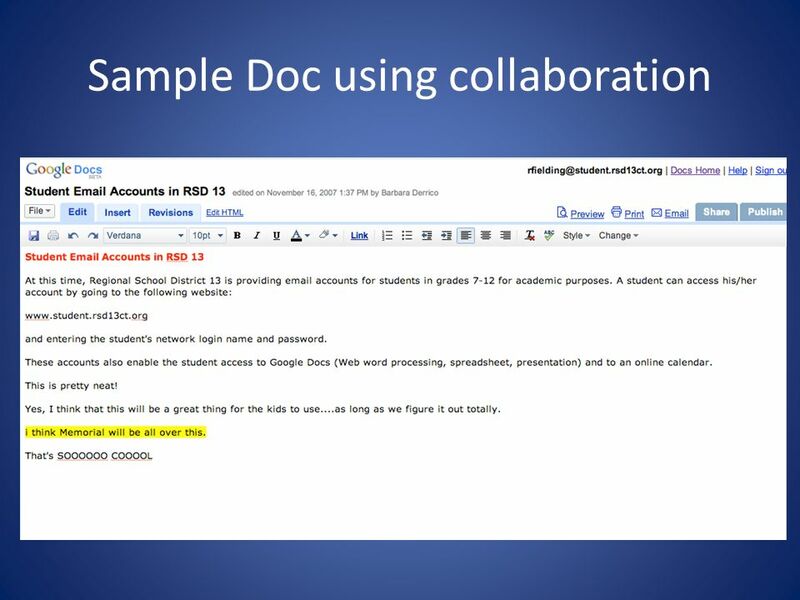 Drupal Online Tutorial A Product of an ENGL 421 class at Purdue University Page 1. 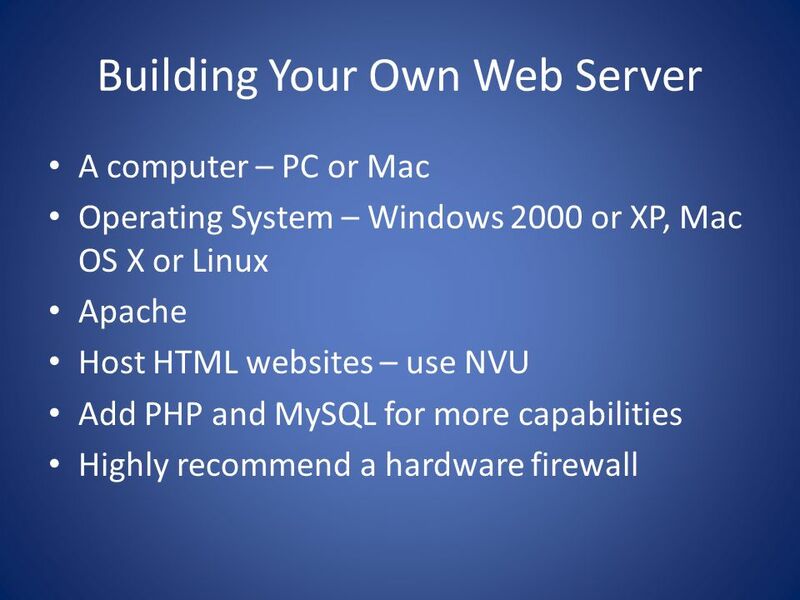 The Apache Web Server  Started in April 1996 as an open source multiplatform web server (Windows, FreeBSD, UNIX, and Linux compatible). 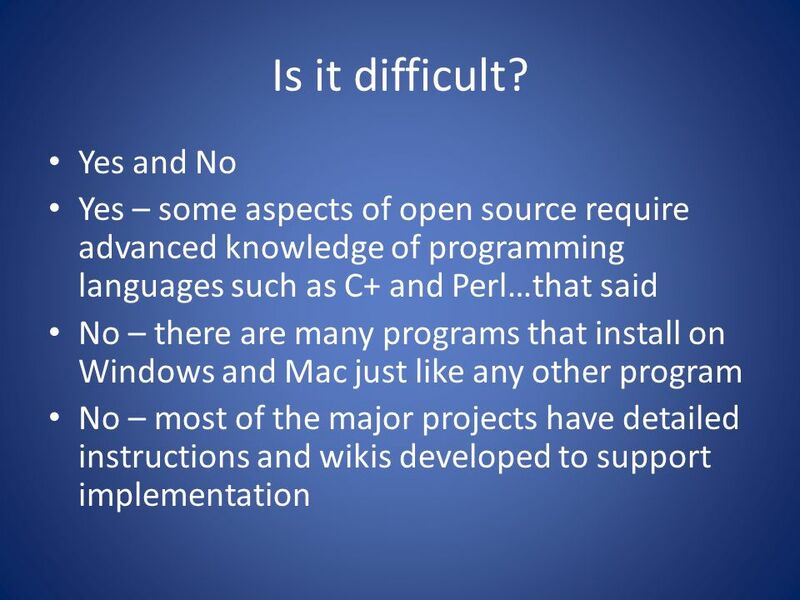  Now the world’s. 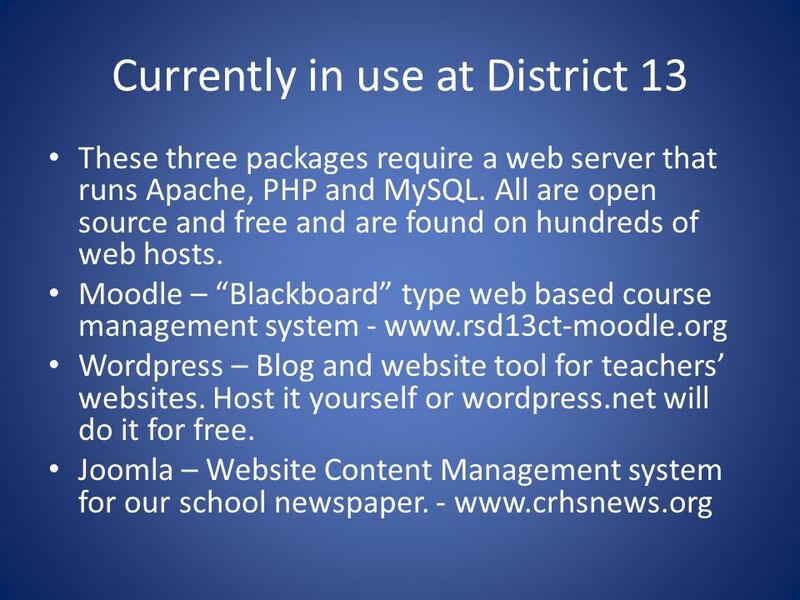 + Team Members Evaluation and Implementation of Web 2.0 Technologies in Support of CReSIS Polar and Cyberinfrastructure Research Projects at Elizabeth. 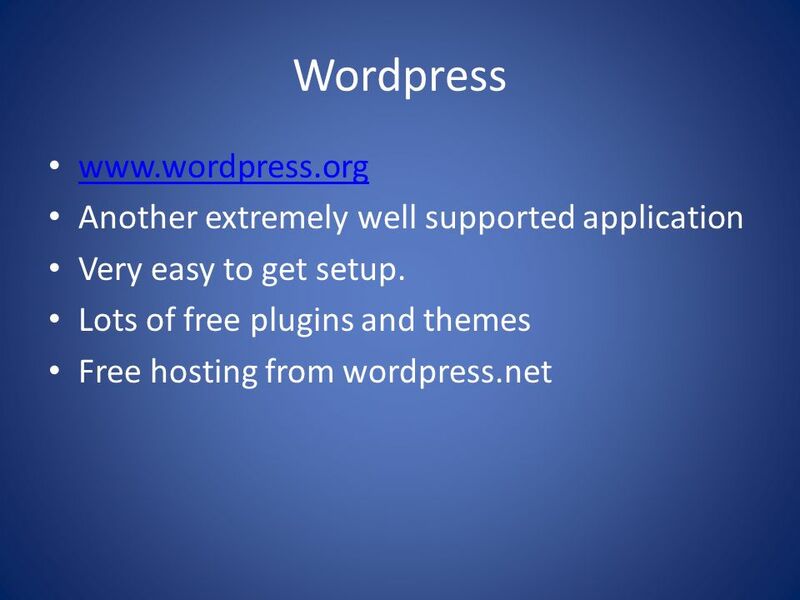 About the CMS WordPress A brief overview of both Wordpress.org & WordPress.com WordPress is one of the most popular content management and blog publishing.